The Kings represent the absolute mature version of the personality in that suit. As such, they are stable and solid, and are completely in control over the effects of their element. They are capable of even directing the flow of the energies of their element. Meaning This king’s wisdom is sought by many, as he is balanced and self-aware. In a reading, he is often seen as the ideal friend, family member or partner, as he is able to express his feelings freely while staying grounded. He has great integrity, and may also be a mentor or spiritual advisor. 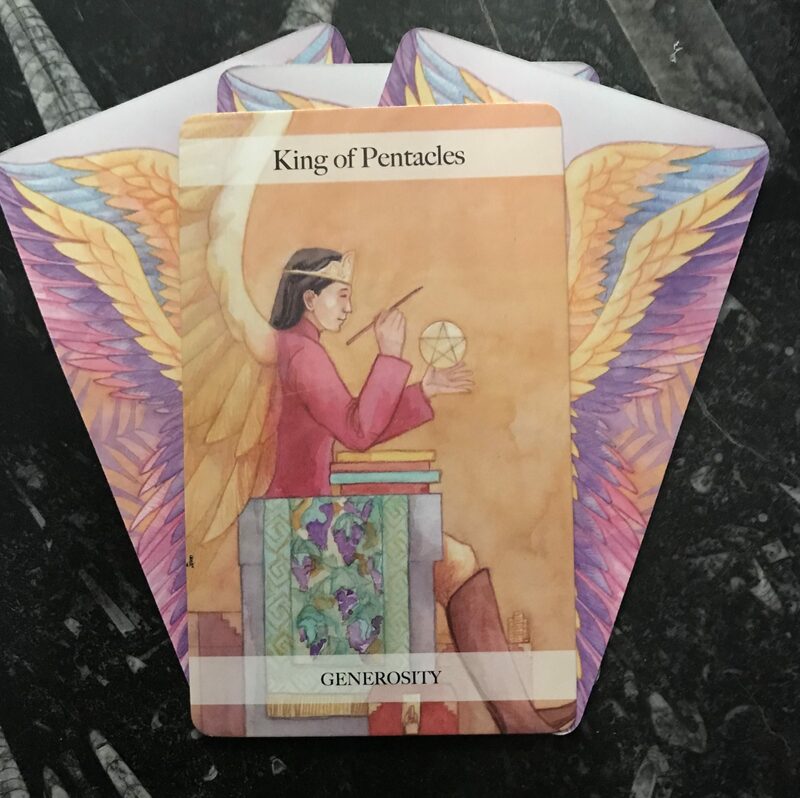 As a situation, this King reveals the gift of discernment; he asks you to weigh up the emotional and practical aspects of a situation and act accordingly. Power Message Use your intuition, wisdom and experience to lead and advise. Meaning Driven by ideas and impulses, this King is an unconventional soul; he may be a powerful business leader or an artist, traveller or start-up entrepreneur, needing complete control to do things his way. He may have very high expectations of others and demand perfection in return, but he certainly communicates his ideas brilliantly and inspires those around him. As a situation, the card often comes up in readings to show innovation, creative projects, travel and successful networking. Meaning This King is financially successful, not just for his own purposes but because he is serious about being a provider; he is generous and loyal. A hard worker, he quickly puts his schemes into practice and often achieves a material goal, such as owning a home or business, early on in life. As a pragmatist rather than a dreamer, however, he may hold fast to his opinions. As a situation, the card reveals financial security, abundance and generosity toward those in your inner circle. Power Message Money may be important, but it’s what you do with it that counts. Meaning This King is often in a position of authority, and his decisions are highly valued. Intelligent and charming, he is excellent company, but he does have a tendency to be cruel; his drive for the truth can make him blind to others’ emotions. As a situation, the card often comes up in readings to show intellectual and legal arguments, and commonly reveals divorce or other proceedings that need a fast resolution. Power Message Take a long, cold look at your situation: it may be time to take the logical option.